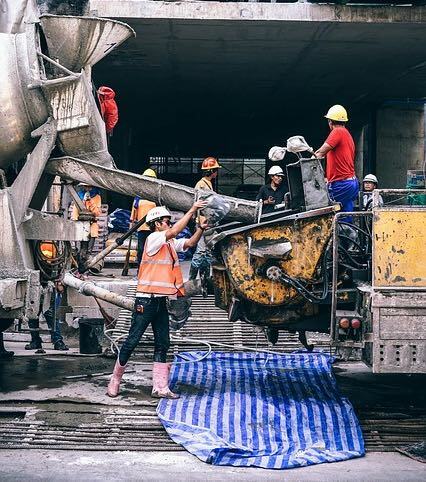 The property of fresh concrete which is indicated by the amount of useful internal work required to fully compact the concrete without bleeding or segregation in the finished product. More the water cement ratio more will be workability of concrete. Since by simply adding water the inter particle lubrication is increased. High water content results in a higher fluidity and greater workability. Increased water content also results in bleeding. another effect of increased water content can also be that cement slurry will escape through joints of formwork. More the amount of aggregate less will be workability. Using smooth and round aggregate increases the workability. Workability reduces if angular and rough aggregate is used. Porous aggregates require more water compared to non absorbent aggregates for achieving sam degree of workability. More ratio, less workability. Since less cement mean less water, so the paste is stiff. If temperature is high, evaporation increases, thus workability decreases. If wind is moving with greater velocity, the rate of evaporation also increase reduces the amount of water and ultimately reducing workability. Chemical admixtures can be used to increase workability. Use of air entraining agent produces air bubbles which acts as a sort of ball bearing between particles and increases mobility, workability and decreases bleeding, segregation. The use of fine pozzolanic materials also have better lubricating effect and more workability. If the amount of sand is more the workability will reduce because sand has more surface area and more contact area causing more resistance. An on site simple test for determining workability is the SLUMP TEST.